This fall I will be talking a lot about the new book series that the Indiana University Press and the Mathers Museum of World Cultures are jointly publishing. I am the series’ editor and my friend and colleague Jon Kay is its first author. I will frame the series here, before I conclude this post, but I do not want to bury the lead, which is that there is a great new book in the world and you should buy and learn from it. 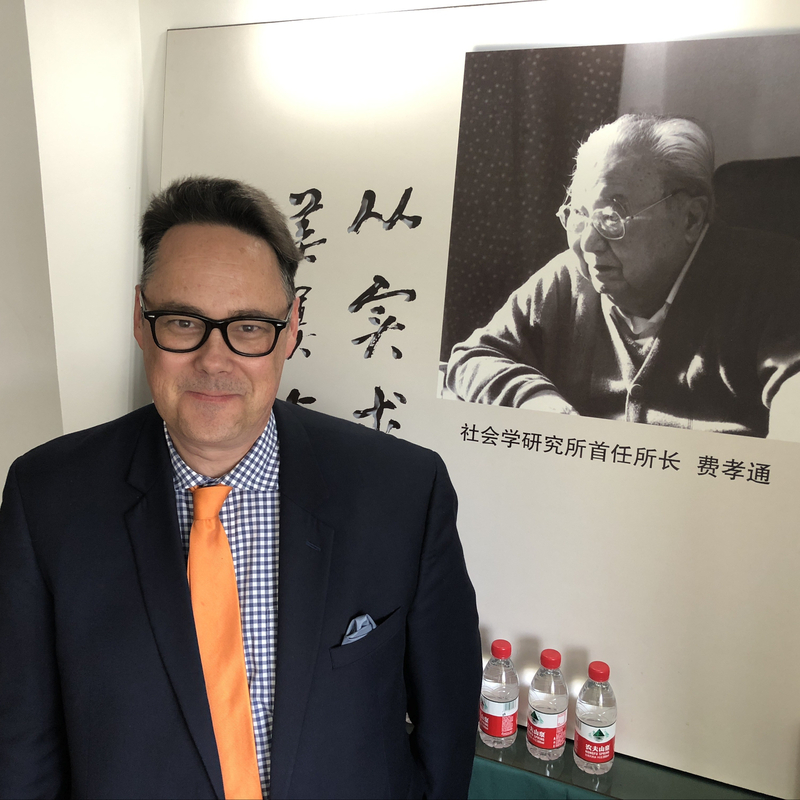 Jon Kay is Director of Traditional Arts Indiana, Curator of Folklife and Cultural Heritage at the Mathers Museum of World Cultures, and Professor of Practice in the Department of Folklore and Ethnomusicology, Indiana University. His book is Folk Art and Aging: Life-Story Objects and Their Makers. (Jon’s content rich book website is here.) It is the fruit of many years of work exploring the creative lives of older adults in Indiana and in other parts of the United States. Jon has much to say about the ways that material culture and narrative come together in social encounters and in unfolding lives, as well as about about the ways that more attentive scholarship on the verbal and material life, as well as the memory, work, of elders can shape more humane and sensible approaches to what is increasingly referred to as creative aging, as well as to social gerontology more generally. The book is a folklorist’s book, but it also speaks very generatively to a range of neighboring disciplines. Written in a very clear and engaging style, it is the kind of book that lots of people (not just scholars) can read and both enjoy and learn from. At its center are profiles of five incredibly interesting creators of objects, stories, and lives. Jon helps share their stories and their creations in a really engaging way. The book has many beautiful color images and at 133 pages, it never gets bogged down. The hardback, paperback, and ebook editions are beautiful and they can be purchased from the Indiana University Press, from Amazon, from Google, and from many other retailers. I’ll tell you next time where to get the free PDF edition, but here I want to urge everyone who can to purchase one of the paper or ebook editions. Why? Paradoxically, because I believe in open access. If those who can do so purchase the modestly priced print or e-book editions, the IU Press will secure the revenue that it needs to produce more books such as Folk Art and Aging and to make them freely available to those who otherwise could not afford to purchase them. More on such questions next time. The Material Vernaculars series presents ethnographic, historical, and comparative accounts of material and visual culture manifest in both the everyday and extraordinary lives of individuals and communities, nations and networks. While advancing a venerable scholarly tradition focused on the makers and users of hand-made objects, the series also addresses contemporary practices of mediation, refashioning, recycling, assemblage, and collecting in global and local contexts. Indiana University Press publishes the Material Vernaculars series in partnership with the Mathers Museum of World Cultures at Indiana University. The series accommodates a diversity of types of work, including catalogues and collections studies, monographs, edited volumes, and multimedia works. The series will pursue innovative publishing strategies intended to maximize access to published titles and will advance works that take fullest advantage of the affordances provided by digital technologies. The series second title is an eponymous edited volume—Material Vernaculars: Objects, Images, and Their Social Worlds. That collection is due out in a few days (September 5, 2016). In its introduction, I characterize in more detail the goals of the series as well as situate its disciplinary (cultural anthropology, folklore studies, ethnology, culture history) engagements as well as its place in the larger research work of the MMWC. I look forward to sharing it with you. Congratulations to Jon Kay on his second book of the summer (see Indiana Folk Art) and to all of our friends at the Indiana University Press.